The Christian CEO Institute is a Membership based organization of CEO’s and Presidents who are Christians who help each other solve a myriad of problems that will positively affect their company’s bottom line while enhancing their spiritual significance and eternal impact. Our commitment is to be a faithful community where a CEO can find effective solutions and resources to solve their business, spiritual, and personal challenges. The Christian CEO Institute believes that in reality God owns all of our businesses and that He gives us a tremendous opportunity to serve Him through our companies. We delight in helping our Christian CEO Institute Members become better stewards of their companies through the application of Biblical Principles and Values which leads to true Performance and Kingdom Excellence. We are servant leaders who go the extra mile to help ensure that our Members receive a temporal and spiritual return on the investment of their time and money in our program. We strive to manage our own Company according to Biblical principles and values in accordance with the way we provide concepts to our Member CEO's. The "CEO Institute" was founded in 1990 by Lane Kramer, a Dallas businessman who has a passion to help CEO's build World Class Companies consistent with Biblical Principles and Values. Lane was born and raised in the state of Illinois where he attended The University of Illinois and majored in accountancy. He also took and passed the CPA exam in 1977 and subsequently attended the graduate business school at The University of Texas at Austin where he received an MBA in Finance. 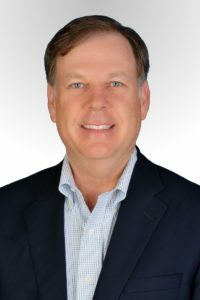 He started his career for Republic Bank Dallas in 1979 as a corporate banker and then managed the credit training program for First City Bank Dallas. While there he developed a comprehensive credit training program for the loan officers and credit trainees. When the big bank crashes occurred in the mid-80’s Lane started his entrepreneurial career by establishing a publishing business. For several years his Company published THE MONEY SOURCE BOOK, a capital source guide for entrepreneurs in the State of Texas. In 1990 he started The CEO Institute and has led this organization for the past 28 years. The Institute has served over 230 business presidents of privately-held businesses in North Texas by helping them to solve their critical business issues and learning how to become more capable CEO’s. 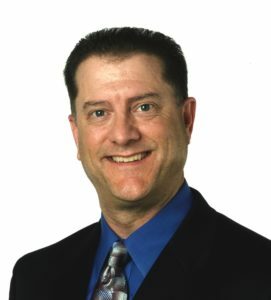 Lane has facilitated over 1800 CEO Advisory Board meetings and advised business owners and presidents on almost every conceivable business issue. He has also served on the boards of directors of three privately-held companies in the Dallas Metroplex. Lane has been married for 20 years to Melody Kramer and they have one daughter. They attend Highland Park Methodist Church and are active participants teaching adult Sunday School Classes. Lane enjoys playing golf, traveling and reading literature that illustrates how Biblical principles can be applied in the business world.